Presented by Nordstrom, Ketel One Botanical, and Fiji Water, the event had plenty of nourishing sips and boozy drinks flowing throughout the evening. 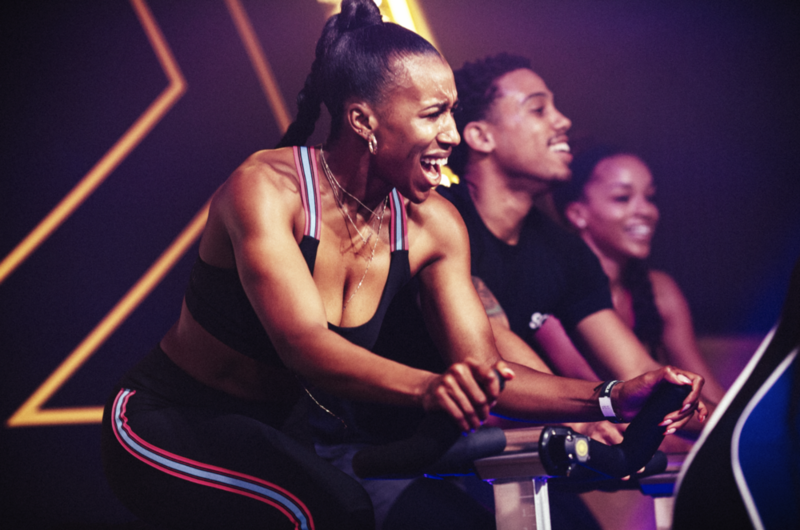 Only 40 bikes were available for Super Soul riders to tap it back while Master Instructor, Fitness Evangelist, and Motivational Coach extraordinaire Angela Davis, led everyone on a journey throughout the live performance. If you didn’t score a bike, no problem! Other guests were able to solely enjoy the concert while dancing the night away. The event was truly electric. Nordstrom had a pop up shop to officially launch the Soul By SoulCycle clothing line, which will be available in stores nationwide. The evening was one big dance party! For updates on the next Sound by SouCycle event, be sure to stay connected by clicking HERE!